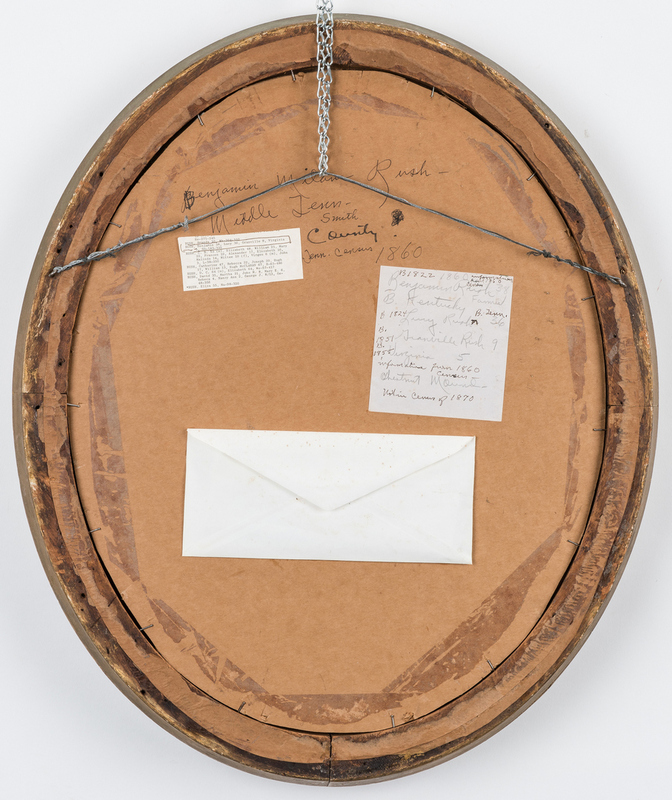 Attributed to William Thurston Black (New Jersey/Tennessee/California, b. 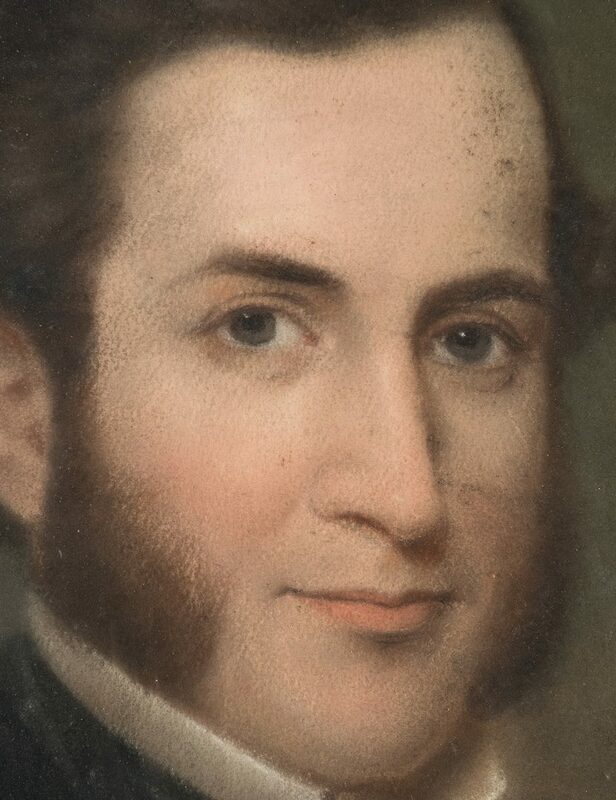 1810-d. after 1879), circa 1850 oval pastel portrait of a gentleman, identified in writing en verso as Benjamin Milam Rush of Smith County, Tennessee. 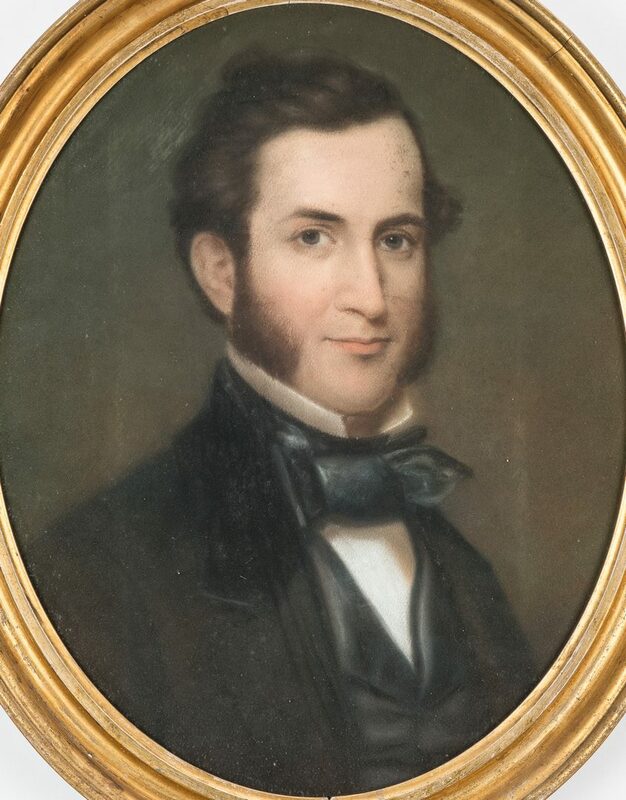 The subject is a dark haired man in his 30's with hazel eyes and sideburns, wearing a dark coat and black tie. 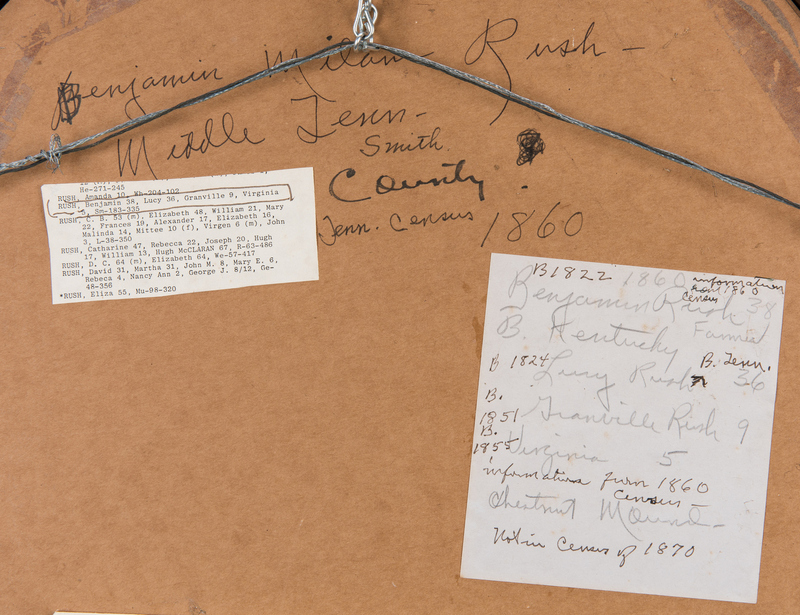 Information en verso (citing the 1860 Tennessee census) states that Benjamin Rush was born 1822 in Kentucky and married Lucy Rush (born 1824, Tennessee), and lived in Chestnut Mound, TN (also known as Chestnut Mount). Other members of the household included Granville Rush, age 9 in 1860, and Virginia Rush, age 5. A photocopy of a map showing the location of Chestnut Mount in Eastern Smith County is included in an envelope affixed verso. Housed in a molded giltwood frame, likely original. Sight – 21" H x 17" W. Framed – 25" H x 21" W. Provenance: The collection of internationally known ragtime pianist and historian Johnny Maddox, Gallatin, TN. Note: the subject bears a strong resemblance to Texas Revolution hero Benjamin Rush Milam (1788-1835). 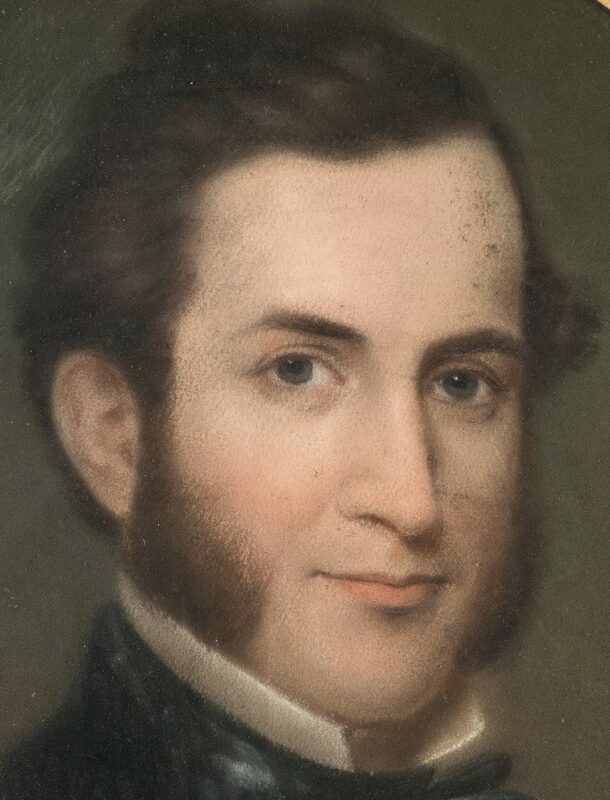 We do not believe this to be a portrait of Milam, although a family connection is possible, since both men were born in Kentucky and share such similar names. 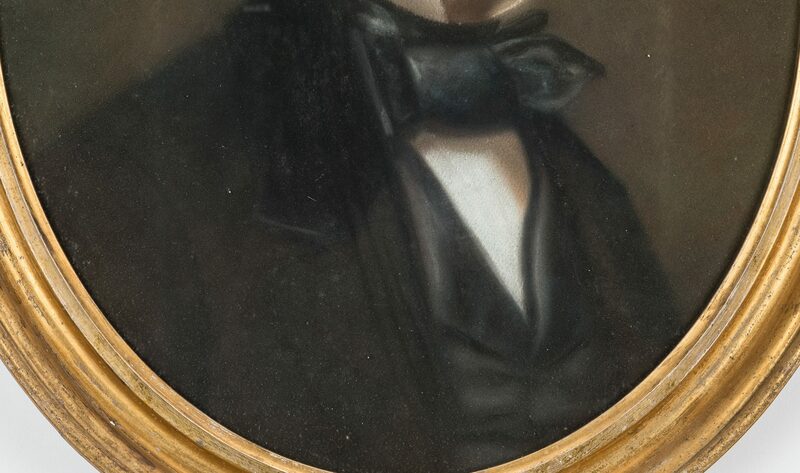 Further provenance on the portrait is unknown. 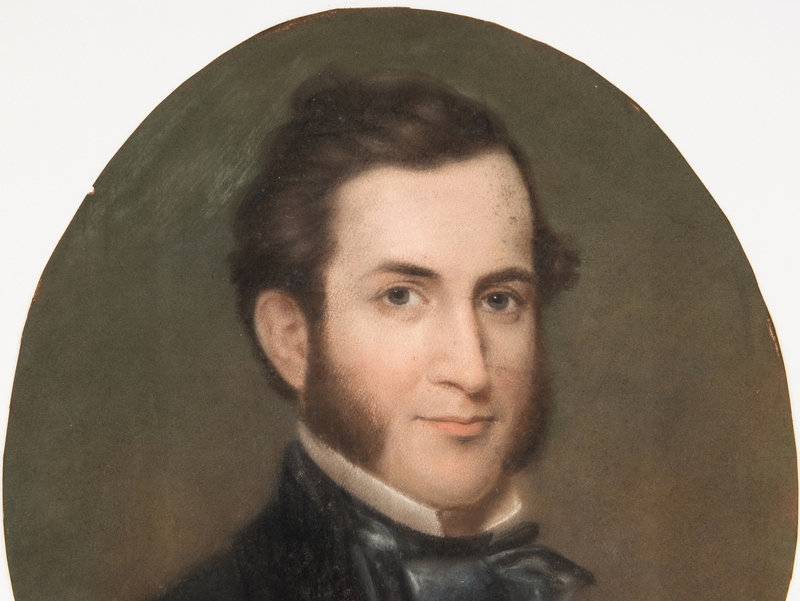 Biography: Little is known about the early life of New Jersey-born William Thurston Black, but by 1845 he was exhibiting at the National Academy of Design in New York. 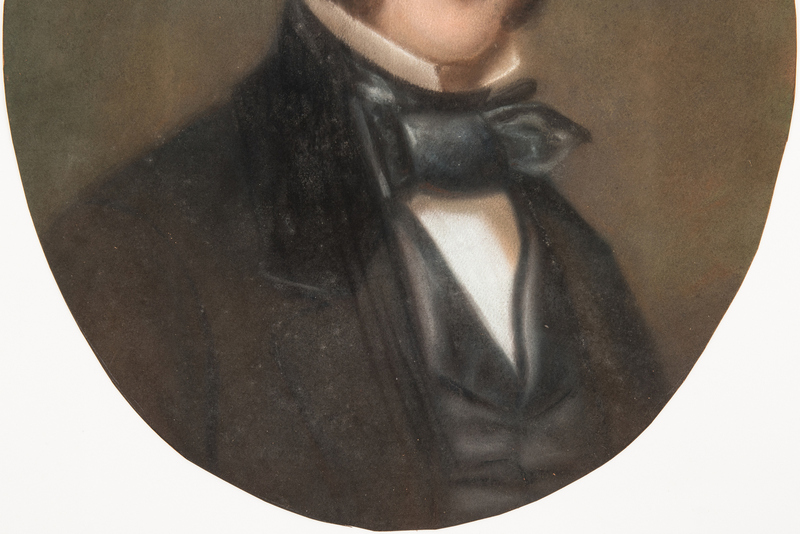 He also exhibited pastel portraits there in 1851 and 1852, and he exhibited a pastel portrait of a gentleman in 1850 at the Pennsylvania Academy of Fine Arts. 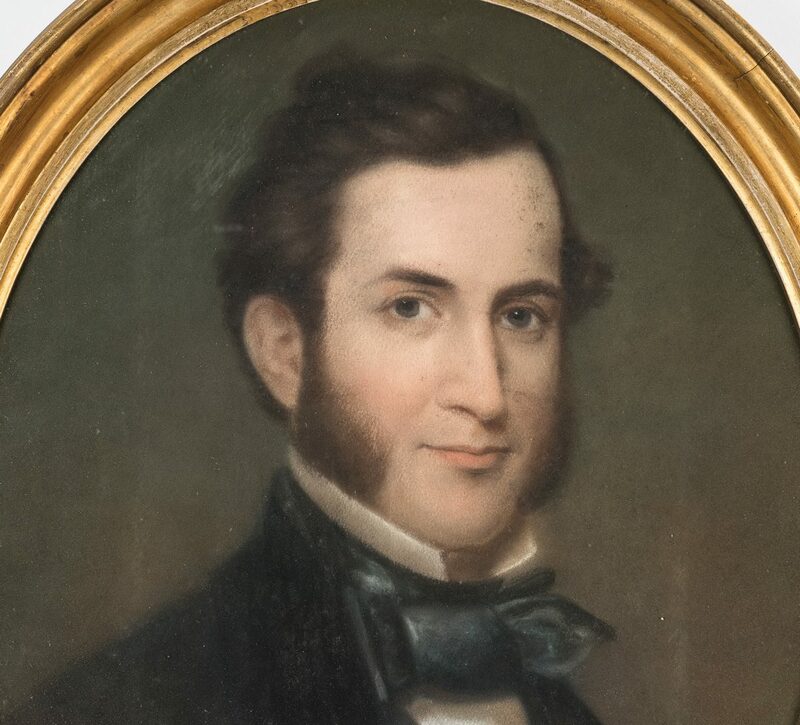 He was operating a studio at 30 Public Square in Nashville by 1856, when the diary of Randal W. McGavock records him painting a portrait of Mrs. McGavock. 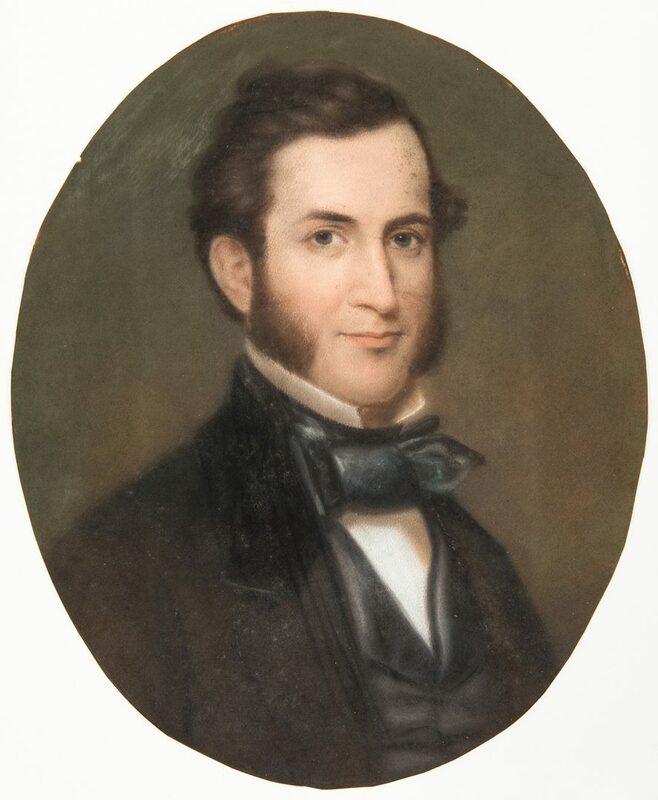 An editorial in the Nashville Patriot newspaper of December 7, 1857 called him "the most skilful (sic) painter in Pastel of any artist perhaps in the United States". 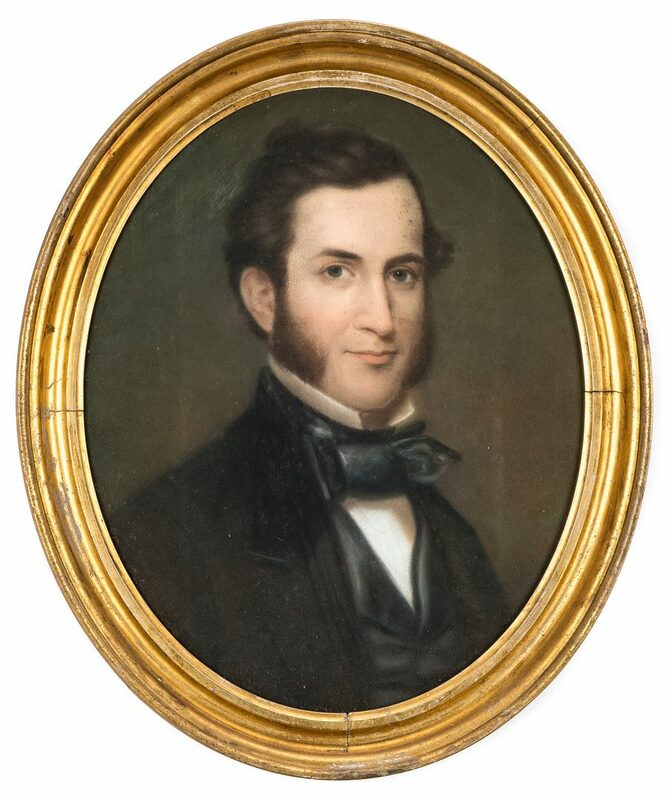 Around the outbreak of the Civil War, he left Nashville for Detroit, and in 1884 he went west to California, and established a studio in San Diego. He died there in 1893. (source: James C. Kelly and Jim Hoobler, Portrait Painting in Tennessee, Tennessee Historic Quarterly Vol. XLVI No. 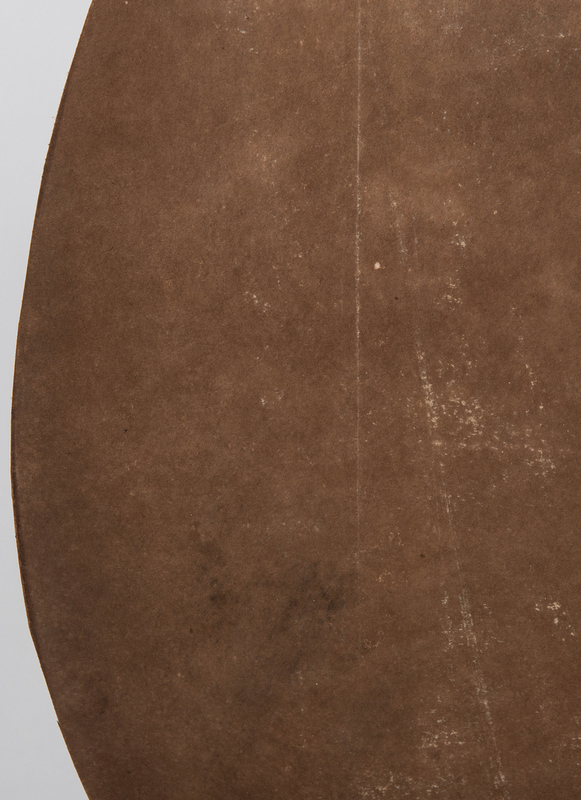 4, Winter 1987, and Edan Hughes, "Artists in California, 1786-1940"). CONDITION: Painting: a few tiny smudges to face, overall excellent condition, not examined out of frame. 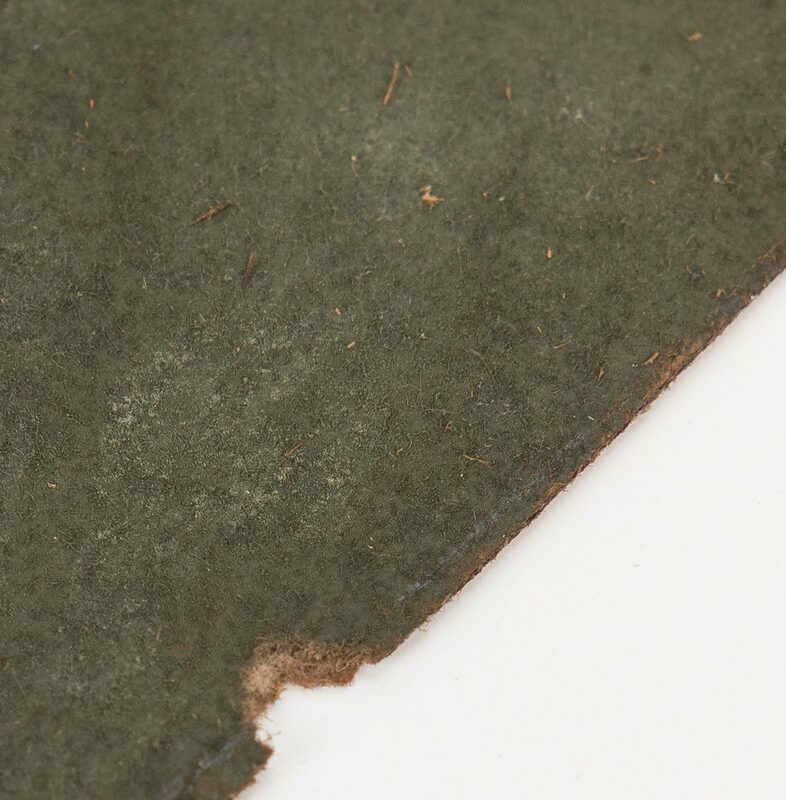 Frame has several shrinkage cracks , most notably at lower center and at the center of each side.